This program will implement filters and hygiene education to 135 families in the communities of Buenos Aires, Nuevo Paraiso, Bella Vista and Alainza de Capire located in the Municipality of Trojes, El Paraiso Honduras. 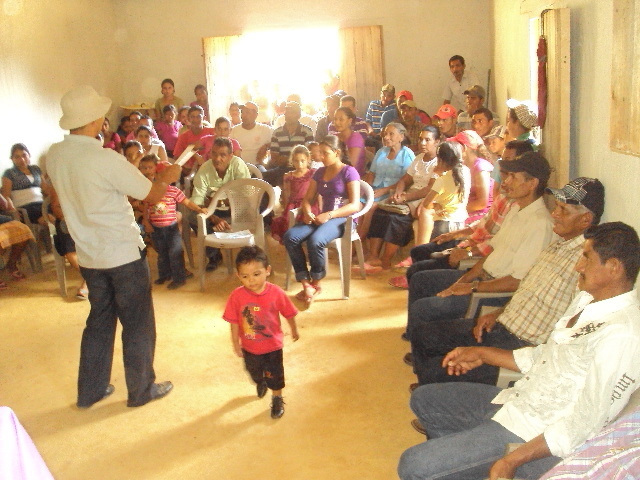 The project began with socialization with community’s leaders and community members. This includes the installation of a model filter. This is followed by the community educational workshops and simultaneously delivery of filters. The initial response of all of the communities was overwhelming. Many community members would assist the PWW staff in different ways. 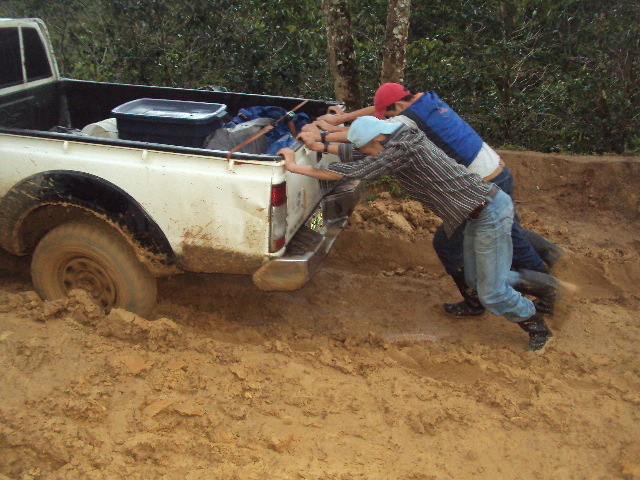 With the heavy rains, the truck had difficulty getting to the communities. During these times, community members would help with making sure the truck was able to travel to their communities. They also helped with carrying the filters to their homes and the homes of their neighbors. Children’s also received workshops on personal hygiene, environmental hygiene, and hand washing. All of the communities were given anti parasite medicine two months after the filters were installed. Nurses from the Health Center in Trojes helped with the deworming campaign. All of the beneficiaries received a safe water storage container for their filtered water. The first step the project began with a census of all communities to verify the information on the request letter. Once we had the documentation on each community, we proceeded with socialization of the community’s leaders and community members with the installation of a model filter. During this time PWW staff members also asked for volunteers for community agents. Community Agents are local volunteers that are trained to be biosand filter technicians assigned a maximum of 4 filters. Filters were then delivered so the filters were ready for the community agent to install under the supervision of the PWW staff members. 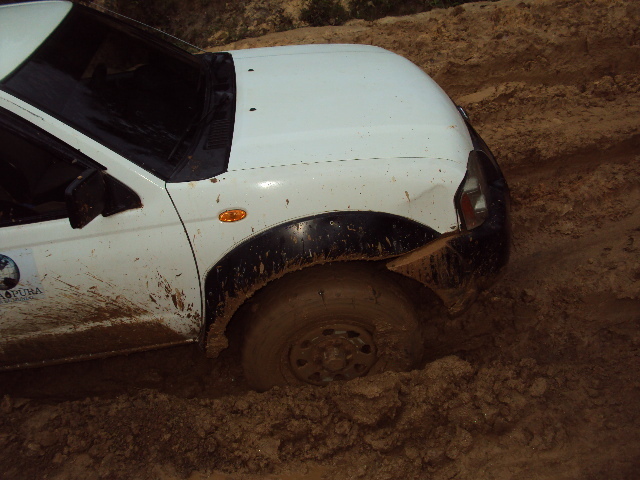 It was very tough during this rainy season to get to the communities due to the road conditions. The community members were helpful and assisted when needed in pulling the trucks out of the mud. The participation of the community agents at the workshop was overwhelming. They received a practical-training from PWW staff members on the use and maintenance of the biosand filter, hygiene education and sanitation. These Community Agents will be in charge of the maintenance and supervision of the filters in their community. 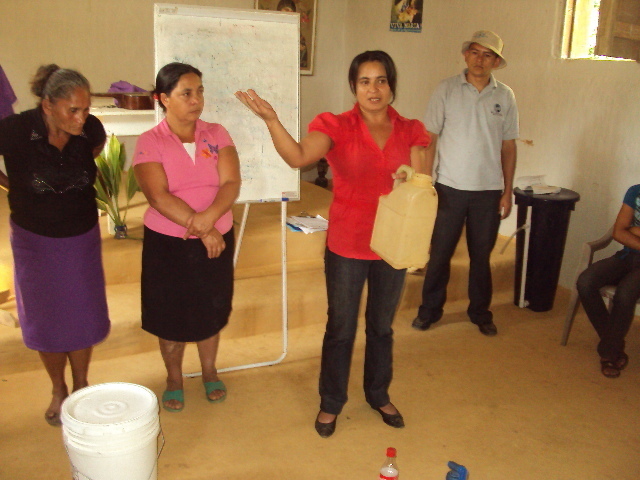 Community Agents received a kit that contains a manual and tools to help them monitor the filters. 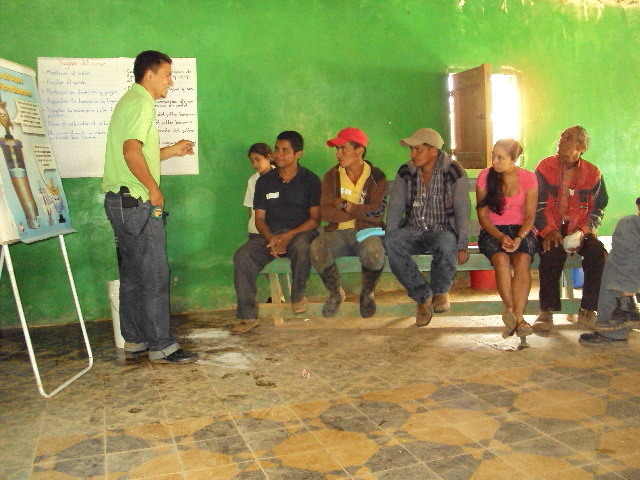 All the communities have received workshops on personal hygiene, environmental hygiene and hand washing. All of the families were treated with anti parasite medicine after the filters were installed. Nurses from Health Center in Trojes helped with the deworming campaign. PWW is installing 7 more filters in Bella Vista so all of the homes will have a filter. The project is almost complete - training and deworming in Bella Vista will be the final activities. With the rainy season over, the staff has been able to continue working in the three communities. All of the filters have been installed in Buenos Aires, Nuevo Paraiso and Alianza de Capire. There was an issue with the information given to PWW and it turns out that not as many homes needed filters. To meet the budget of 135 filters, we will be adding the community of Bella Vista to this project. They will receive their filters this month. There are also 11 more workshops to complete for this project as a whole. Our staff is focusing on this project and we will be completing the project by the end of May as originally stated. All of the filters have been delivered and almost all installed. Now the workshops have begun. For this month we are planning to give a home sanitation workshop, a personal hygiene workshop and deworming medication in Nuevo Paraiso, as well as continue supervising filters. It continues to rain in Trojes making travel to this communities difficult as seen in the attached photos. PWW staff members have completed socialization with community leaders in Buenos Aires and in Nuevo Paraiso they have also delivered filters and installed the model filter. Due to rain, the access to these communities has made it difficult to travel to and from them Nuevo Paraiso is approximately 4 hours from Trojes. Attached are photos of Nuevo Paraiso, that show the truck stuck in the mud on the way to deliver filters. Another truck had to come and pull the PWW truck out. The project began with delays due to the heavy rain, making it difficult to access the communities. Project staff members have started to get census information from Buenos Aires and Alianza deCapire. They are also planning to do socialization with leaders and community, select community agents and hold a community agent workshop in Buenos Aires in February. Due to the rain the Nuevo Paraiso, one of the most difficult communities to access, and it is planned to start work there in the beginning of March. The project is still on course is and scheduled to be completed at the end of May 2012. 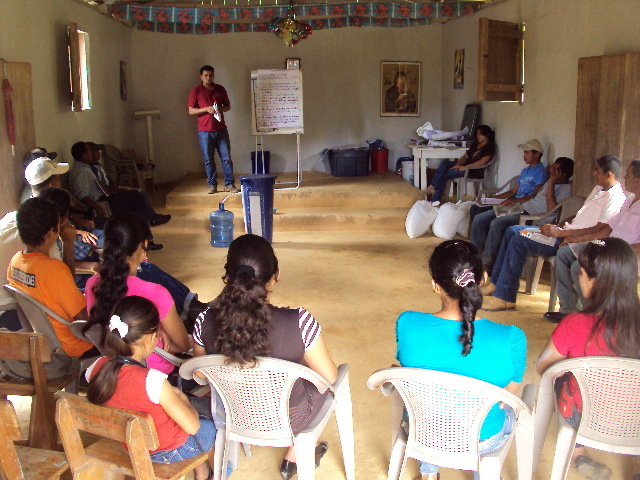 PWW staff trained local community members to be the biosand filter technicians who are recognized as the community agents. These Community Agents perform household visits to their assigned homes during which they evaluate filter use and solve problems if necessary. Families also receive training in the use the biosand filters and latrines as well as hygiene education. PWW has also created a mobile training program which is designed to monitor filter use, and hygiene and sanitation practices in communities. New filters are delivered to new homes and workshops are held to enforce proper practices. Visits are planned to obtain feedback from the beneficiaries on the use of their filters and their health. The weather caused this project to take a little longer than expected. During the last few months, the Trojes region was hit with very heavy rains. These rains had an adverse affect on the roads which prevented PWW vehicles from getting to the communities on time. Towards the end of May, one of the main roads to Trojes was completely washed out and for awhile the only way to get to Trojes from Tegucigalpa was by a very unsecure bridge. Even with these difficulties it was overwhelming to see the beneficiaries help the PWW staff. Whether helping the PWW truck avoid the dangerous cliffs when traveling up or down the slippery roads, or carrying supplies, everyone was happy to lend a hand. 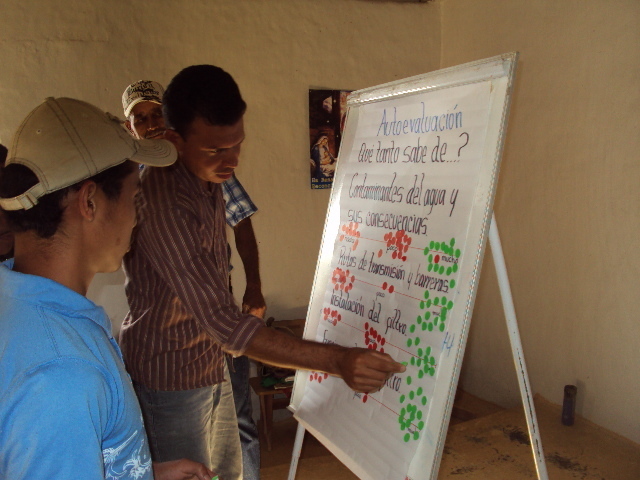 PWW recognizes the need of returning to the field to communities where our projects have being implemented to monitor. This monitoring consists not only of checking filter use and maintenance but also supporting the local communities by conducting refresher courses in the use and maintenance of the biosand filters, water disinfection, safe storage, personal hygiene and environment sanitation.